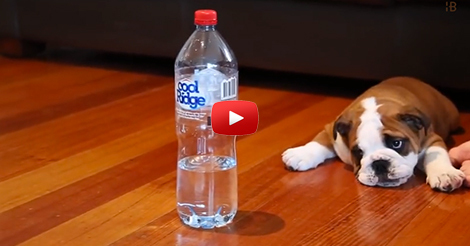 This adorable bulldog puppy fearlessly battles his greatest enemy — water bottles! Puppies have different reaction to water bottles… some are afraid, some are confused, some plays with it, while some are enraged with it. This bulldog seems to be the latter. He looks furious that he can’t stop barking. 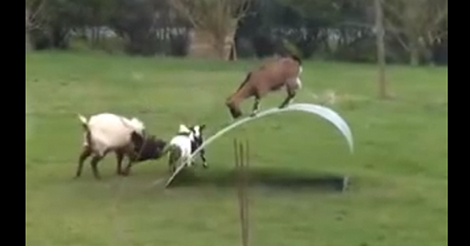 Seems like this dog has a different understanding with water bottles.